Government is building diamond and gold reserves to back the local currency upon its re-introduction in future, Vice-President Emmerson Mnangagwa has said. VP Mnangagwa refused to disclose when the local currency would be re-introduced, but said it would only come back when mineral reserves reached desired levels. He was speaking during an advocacy meeting on the new Constitution that was organised by the Ministry of Justice, Legal and Parliamentary Affairs in Chiredzi. VP Mnangagwa oversees the Justice Ministry. Responding to questions on the prevailing cash shortages, the Vice President said Government was working on ways to stem the shortages. “We are building reserves of gold and diamonds which if they reach a certain level I will not tell you here, it will then allow us to introduce our own currency that will be backed by those minerals. I am not at liberty to disclose to you the level that we want those minerals to reach before they can back our own currency,’’ said VP Mnangagwa. He narrated the history of cash shortages in Zimbabwe saying problems started after the country embarked on the land reform programme. He said Government introduced bond notes to plug the smuggling of the US dollar outside the country. “We only get foreign currency when we export something or through NGOs that come into our country. Forex also comes from bilateral and multilateral financial support or through Foreign Direct Investment and if we do not get this there will be no forex because the US dollar that we are using is a reserve currency,” he said. 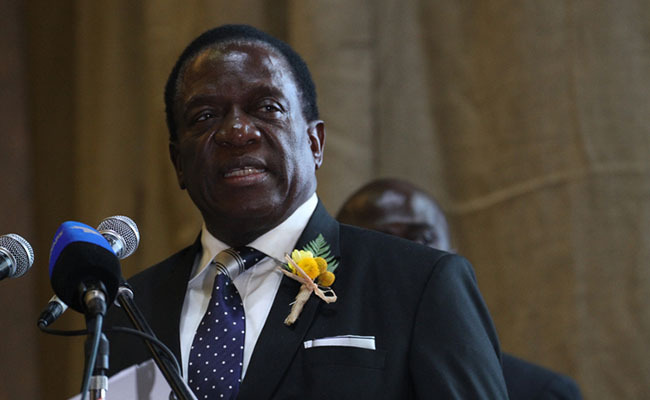 VP Mnangagwa also said Government was concerned that bond notes were now being found in some neighbouring countries, saying investigations of how they ended up there were ongoing. He revealed that the Chiredzi leg of his ministry’s visit was the first in a series of nationwide new Constitution advocacy meetings at district level.